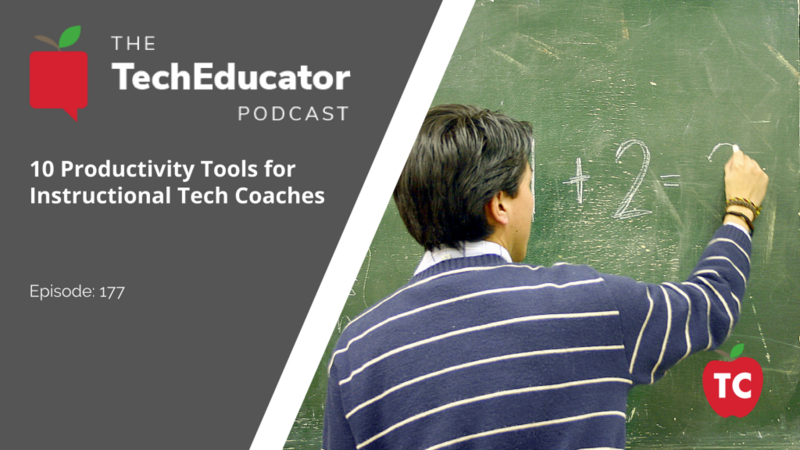 In this episode of the TechEducator Podcast, we bring 3 Instructional Technology Coaches on to discuss their Top 10 Tips for staying productive and efficient in their school districts. Voxer – very important for keeping communication open but not filling your inbox. Utilize an online booking system (YouCanBook.Me, Appoint.ly, Google Calendar Appointment slots) etc for teachers to book times to meet with you. Saves the back and forth time in emails. Use Remind for quick contact. Evernote: It’s the perfect application to save documents, audio, PDF’s and it’s available on all platforms. Utilize Google Docs/Folders to record conversations and coaching sessions for future conversations. Keep ongoing blog as a one-stop-shop for all your teachers’ needs. Update with things you often come across for them to go back to. Also helps alleviate email you send to staff. Jing – a great quick screen recording tool for simple how-to videos. Record important events right after they happen. It’s easy to go an entire day and forget to record important events or meetings with teachers. Use a Google Doc, Evernote, Google Keep, or Google Form to keep track of what you have done each day. Use it to create a Data Dashboard of your events. You never know when it might come in handy. Facebook groups – create hubs for people to share resources. It’s not just me that may have the answer. 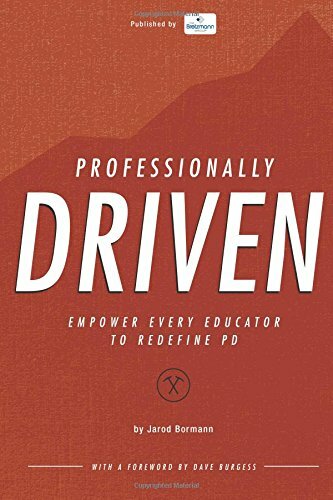 Utilize your most willing teachers to assist in training/sparking innovation in others. If you build it, they will come. Tip 10 – When in Need… Wear it! Make an Apron Aprons- You could rock an apron and save hundreds on clothes and instantly have more pockets! Augment your clothing reality with extra padding where you need it and a custom pocket for cookies and other fresh snacks. What are your productivity tips and tricks?